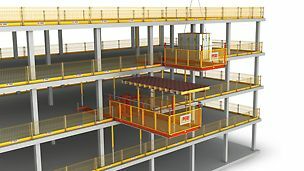 Climbing Systems are used for the construction of vertical as well as inclined structural elements at great heights, e.g. 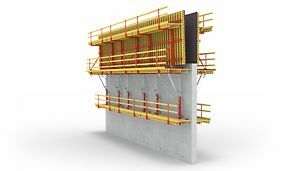 high-rise building walls, bridge piers and dams. 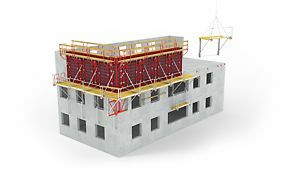 In addi - tion to simple scaffold platforms, there are other different climbing systems whereby brackets, platforms and formwork are connected to form securely mounted units. These climbing units can be lifted as one unit to the next concreting section after striking has taken place. 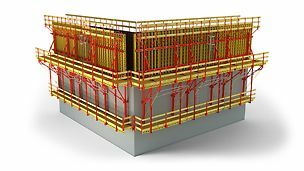 With the traditional crane-climbed formwork, units are moved by crane and attached to climbing anchors which have been concreted in advance. 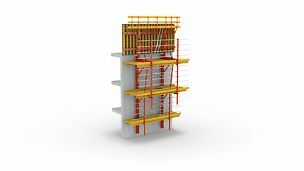 If a hydraulic climbing device lifts the units to the next storey, then this is called self-climbing formwork. For this crane-independent variant, the climbing unit is guided mostly by means of rails while dedicated climbing shoes provide safe and secure anchorage on the building. 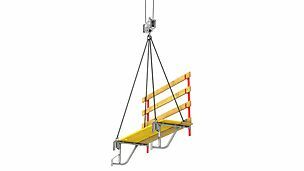 Apart from systems with integrated hydraulics, rail-climbed systems are also available which operate using mobile self-climbing devices. 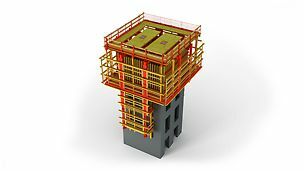 For different building shapes and tasks, optimized system variants have also been developed: climbing systems for facade areas, building cores and shafts as well as inclined bridge pylons. 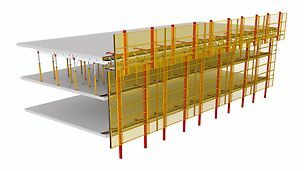 Climbing protection panels, which serve as a wind shield and anti-fall protection, complete the product portfolio for ensuring safe and comfortable working conditions at great heights.